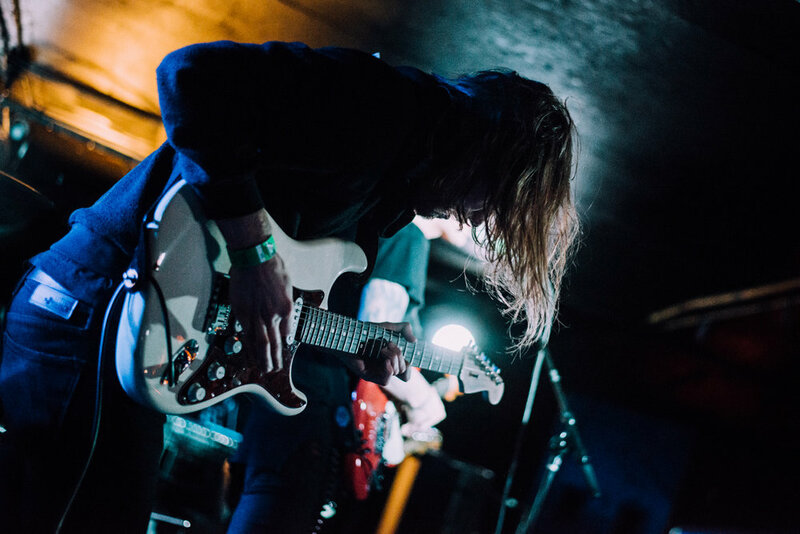 The Photo Ladies set out to cover Philadelphia's Pop/Rock outlet, CRUISR, on their US tour with Beach Weather and Against the Current. How did CRUISR come about? Andy: It just started with me doing a bunch of demos at home and then I was doing all kinds of music just trying to learn how to make music on my own. It got to the point where I was writing all the same type of songs. It was basically this batch of songs I ended up putting out working with another producer. At that point I was just a kid with a full time job just doing it in my spare time for fun. I mostly sent it out to blogs and did some heavy PR to get on some blogs. It got some label attention. They said I should put a band together and start playing these songs live. So I reached out to Jon at the time and a few other people who are no longer in the band. Then we eventually met Bruno through playing shows. When the time came we asked Bruno to tag along with us. But since then we’ve been at it writing songs and trying to do our best to raise the bar. Jon: The interesting thing about Andy’s early process is that he was trying out many different styles of music within the pop realm. 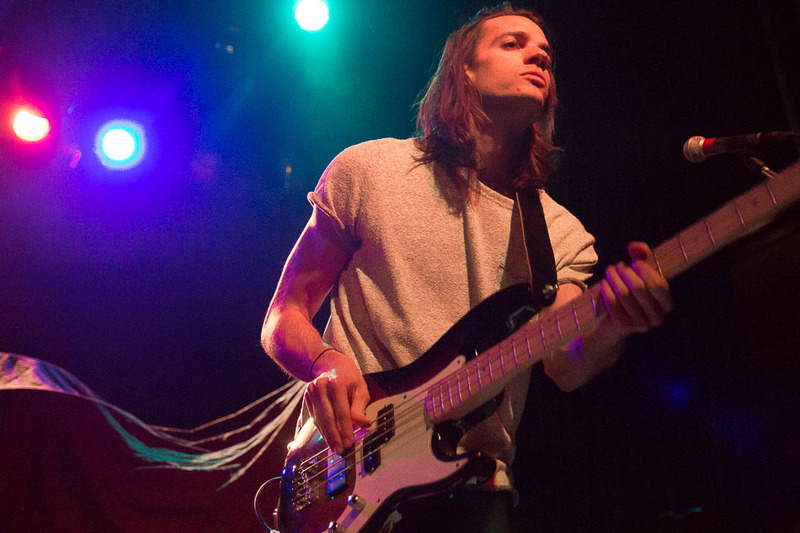 Andy: Yeah, I was kind of teaching myself how to make every type of music and the CRUISR stuff was just what came naturally. Do you find that nowadays having a good social media presence helps you guys out? Andy: I think it does. Mostly Jon is the person that takes care of that. Jon: Yeah i’ve found it to be a pretty good tool. I’ve even figured out the exact times when to post to get the most optimal coverage. I think it’s helped us a lot. Ever since we did our first tour, all of our social media accounts just blew up. I remember sitting at a restaurant in Connecticut and our Twitter went verified. We got followed by the twitter verification account and we were like “ahhhhh”. It was so exciting to us. We felt very verified. Haha. Andy: It’s nice though to have the line of communication open with anybody who wants to reach out to us. Jon: They love it when we respond. We have our merch store closed right now because I can’t ship right now while we're on our. So Fans will send us emails asking when we will have it up again and i’ll respond and they are so ecstatic that we even respond or that it’s from me. I also write little handwritten notes when we send the merch out and I think it’s a relationship that we’ve got. Now speaking of merch, you guys design most/all of your own merch? Andy: I think the first round was mostly just stuff that I had done. Jon took the wheel on this one. I think this newest batch is kind of very representative of his design style. Bruno: Next tour is me, i’ve got a lot of clipart at home! Jon: I was actually thinking it would be cool to thrift and get some one off things to draw CRUISR on. I saw you guys played Pinelands Music Festival, how was that? Andy: It was fun! We got a good reaction and they kind of scaled it back this year and it made a lot of sense. It was probably more of a success this year than it was last year. It was our second year and i’m happy to see new festivals starting up and growing. I think that’s really important because festivals are such a huge thing for the fans, listeners and artists alike. 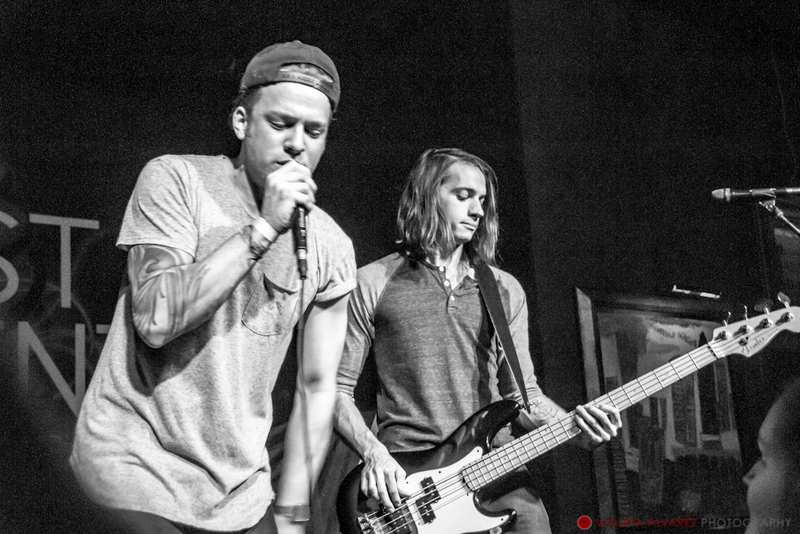 Jon: It was also really fun because Kyle our original bassist filled in for that day. It was a nice little reunion. Do you have any bucket list festivals that you want to play? Jon: I want to play that Icelandic Festival. I forget what it’s called. It’s the one with all the hot springs. Andy: I just want to go back to Hangout Fest. Jon: Yeah, Hangout Fest I would like to do the actual festival. We did the pre-party on the beach, it was awesome. We saw Spoon, We had lunch while looking at Spoon while they were having lunch. Andy: It’s funny though, they give you your green room for a slot of time around your set. So you get to use the trailer backstage for a little bit and then whoever is next on the list gets to use it after you. I think right after us was Cold war Kids. It was kinda cool to see artists you listen to. Jon: Yeah! That was one of the first exciting things that we did. It’s rad, they treat you well too. We watched Chance the Rapper play foosball. Andy: Those artist lounges are weird though. It’s like a bunch of alpha males. Is there a city that you always look forward going back to when you’re on tour? Jon: Salt Lake City. It’s probably our biggest support in the country. Andy: I like Columbus a lot. That was where we played one of our first earlier headline shows and had an amazing turnout for just us. I remember asking people how they knew us. At that time we had just finished that tour with The 1975 and I assumed that most of them knew us from that but most of them said that they head us on Spotify. So it was nice to know that we were kind of making fans in other ways. Andy: It’s funny we used to play hometown shows a lot before things got serious. We used to play them every other week. Now we only play there once or twice a year. I wish we played there more. Certain bands have different things that set them apart from other bands. 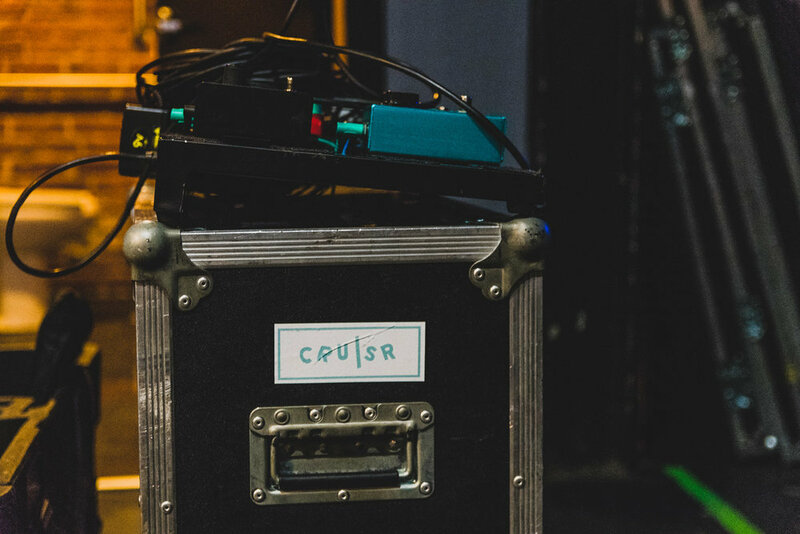 Do you have a trademark CRUISR thing? Andy: I think there’s this one specific guitar pedal that we’ve been using in almost every one of our songs that kind of ties them all together in my opinion. I don’t know what out “thing” is, i’m just trying to kind of write the best songs possible and songs that are going to connect with people. I think we approach every song with the idea that we just want people to remember it. Almost sometimes I just want people to remember it more than I want it to be good which is weird. So we always try to make the lyrics as memorable as possible. I like all the songs that have memorable titles. I would hate to write a song that was “ I miss you” because how many I miss you songs are there. Jon: If you search any of our song titles on Spotify, there’s no other artists that come up with those song titles. Andy: Well I try to make them unique. It’s important that the chorus is something that hasn’t been said before which is really hard to do. You can say things that haven’t been said but they’re usually just terrible. Like.. “Banana Peppercorn” . That’s our new album. Bruno is going to come up with some song titles. Banana Peppercorn is going to be our new side project. Can you tell me a bit about how you discover new music whether it be Spotify, going to shows, recommendations from friends? Jon: All of the above. Less shows than it used to be. Nowadays I don’t go to too many shows because we’re always playing them. I would say Bruno is a really good resource for hot tracks. Andy has always got stuff that I enjoy too. Discover weekly on Spotify as well. Bruno: I’ve been Shazaming a lot of stuff in my Ubers. I’ll just Shazam it in the back seat. I like pop radio a lot. Usually whatever they are listening to is very standard but I don’t sit at home and put it on so I find a lot of the stuff that people are listening to from taking Ubers and just Shazaming it. Jon: I have all the pop stations on my phone for Sirius. Are there any artists that you would recommend? Bruno: Little Comets for me. I’ve been drowning these guys out with them. Andy: We’ve been listening to Whitney a lot. I haven’t been hearing as many new artists this year that i’m really amazed by. I’m sure there are a bunch that I don’t know about. I tend to get into it about 6 months too late. Jon: I’ve been listening to Syd Arthur. Andy: I’ve been trying to catch up on old stuff too that I haven’t listened to like checking out Roxy music a little bit and digging into some old music. There’s a never ending well of good music that’s been older artist as well. Can you tell me a bit about what you guys have been working on recently? Andy: We’ve been doing a lot of writing. It’s been focusing on lyrics and melodic content as far as the vocals go. We’ve just been trying to finish the album. We’re going through and we have three songs we just finished working on with our producer Andrew who’s pretty much done everything we have out except for Take That and The Fritz. So he has worked with us for the majority of our work. We are just going through the mixing phase of three songs and then we just have to go through 3 or 4 more with him before we put together the album. Jon: I think we're going to do worldwide distribution. Only two songs so far are available outside of the US. Andy: It’s going to be an interesting decision and it’s definitely has a lot to do with the people that are helping us. They’ve kind of wanted to hold back on releasing our music to the rest of the world because I think a lot of times artist break overseas. So they want us to build up our body of work and have as much as possible and then once we have the album out, the drop it overseas. A lot of artists break overseas and then come back to the United States. We’ve been staying in the United States and focusing on the US as most of our Spotify numbers and everything is from here. Once we hit the button we will be worldwide and hopefully do some overseas stuff. Jon: We do have an album out in Japan with all of our songs to date. Andy: It’s the physical only though. Andy: Put out the album and that will set the pace for what we do next. I think we’re going to shift our energy once we have the album out to focus on all the other stuff like music videos and really setting up our live show to get some better lighting going on and really making the live show more of an experience than it is right now.